Gladys Cummins (93) went to Dublin’s Mater A&E on Monday afternoon. 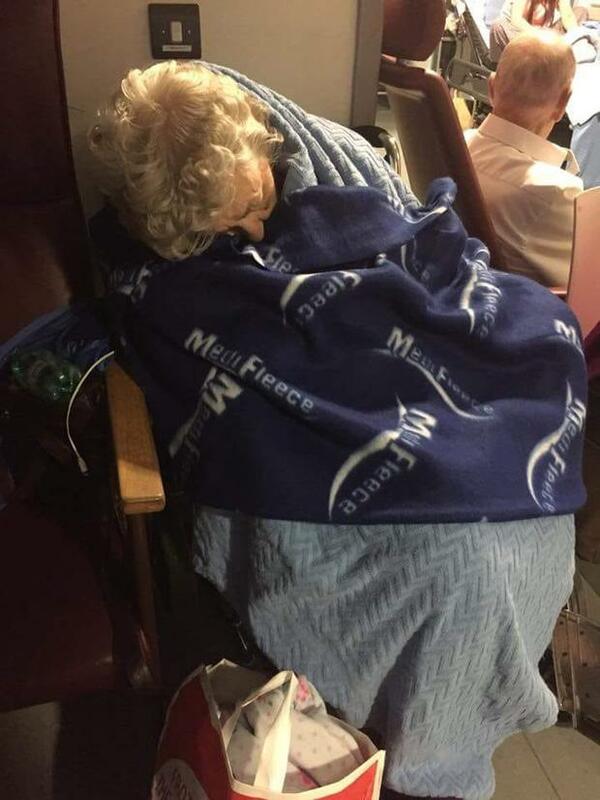 25 hours later she was still in a chair waiting to be seen, according to her daughter. “I’m starting to lose my faith in politics,” said Dee, speaking to RTE Radio One’s Liveline. “My mother went into A&E at 2.15pm. She was left in a chair for 25 hours. She was moved from a wheelchair to the chair and back onto a wheelchair again, as she’s not mobile. Dee and her two siblings waited with their mother while she was in A&E, as they didn’t feel it was ever safe to leave her. According to Dee, there were quite a lot of elderly people there and they weren’t being afforded much dignity so she took a photograph of her mother in the chair and put it on Facebook. “I felt people needed to see this,” explained Dee. “We talk a lot, between housing and healthcare, but nobody does anything. Rather than be a procrastinator and do nothing, I got up and took a photograph, put in on Facebook and asked people to share it. I thought of a Facebook page called the Long Wait. People can put photos of their relatives on this page and the amount of time they spent waiting to see a medic. Since putting up the photo of her mother, Dee has had a flood of responses from people who have had a similar situation with a loved one. “One girl told me her father died in a corridor in A&E and she screamed for him to get some dignity,” said Dee. “There are hundreds of thousands of similar stories. The government is not up to the job obviously. It’s not just Simon Harris. We have a Taoiseach and Tanaiste and Minister for Finance, in control of the purse. It’s about them all.